You’ve probably spotted these furry friends sunbathing in the distance at some point, lounging on some rocks. Perhaps one of the creatures stares back. It spots you in a similar sluggish repose. One of you yaws. Here’s a thought: it’s a beautiful day; why don’t you both stop lazing around and jump in the water—together! 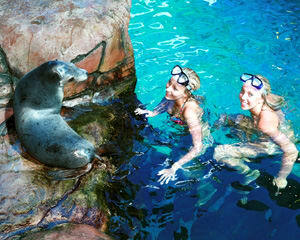 Swimming with seals is a frolicking good time that you’ll never forget! The more active you are, the more sociable your whiskered water companion will be. Swim with seals and discover just how incredibly social and playful these creatures can be! 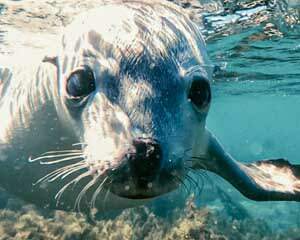 Go swimming with seals all over Australia! We’ve put together exceptional packages in South Australia, Melbourne, the Gold Coast, Sunshine Coast and more! At Mooloolaba Beach, you’ll encounter the endangered Australian Sea Lion on a swim coordinated by the good folks from Sea Life. With seal experts guiding your journey, you’ll learn all about how these amazing creatures hunt, child rear and socialize before splashing around with them as though you were one of the heard! Similar seal encounters abound in Port Phillip Bay. 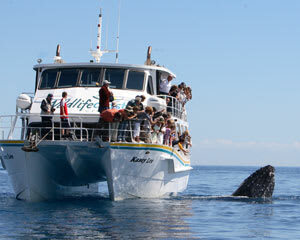 Here, you also get the opportunity to travel a little deeper into the blue on a 35-foot catamaran. 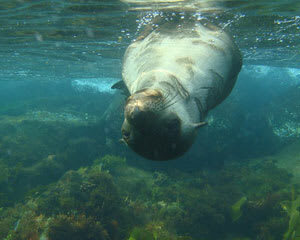 You’ll be taken to a special seal hideout and equipped with snorkeling gear for an out-of-this-world seal swim! Without a doubt, one of our most popular aquatic experiences is an adventure where you not only swim with seals but you also go swimming with dolphins! The interaction begins with a dolphin meet-and-greet (by the way, these are wild dolphins; no tanks here). Swim by their side through colourful corals and spot the alien-like sea dragons. 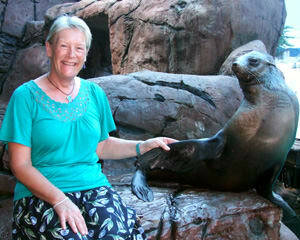 Next, you’ll get acquainted with the cheeky seals and splash around with all your newfound friends! If you don’t have a towel handy, we also offer several seal watching and seal greeting experiences where you don’t have to get wet. A trip to a seal sanctuary in the Sunshine Coast lets you get up close and personal with the Australian Sea Lion on land. 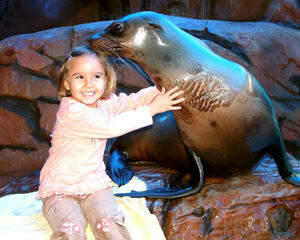 Shake hands, play with the beautiful sea lion’s whiskers and be amazing by its intelligence and friendliness. 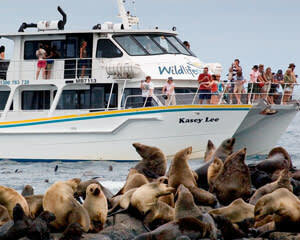 Or, for photo opportunities, take a cruise at Phillip’s Island. The seals swim close as you snap countless shots from the deck. There’s even a whale watching cruise that takes you out for a half day and introduces you to pods of magnificent humpbacks (don’t worry, the seals make a special guest appearance here, too)! Whether you’re staying dry or getting wet, these seal encounters guarantee to bring out the kid in you! 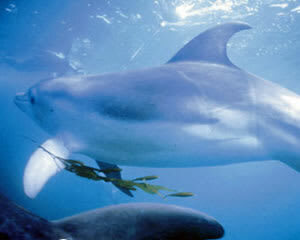 Book your adventure with these playful creatures now!